Wow! 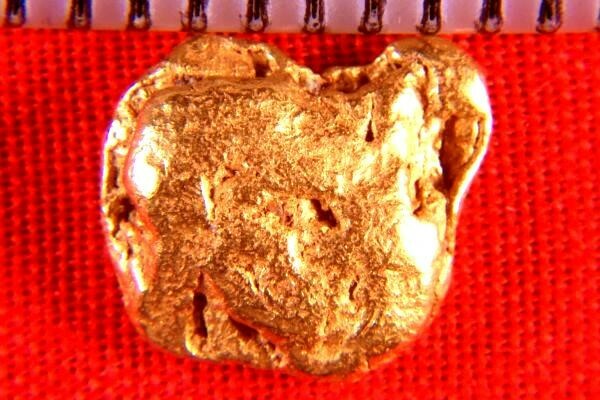 That's about all you can say about this beautiful Gold Nugget from the Twin Creeks area of British Columbia in Canada. It weighs a hefty 34.2 Grains (2.22 Gram) and is over 7/16" (12 mm) long. B.C. 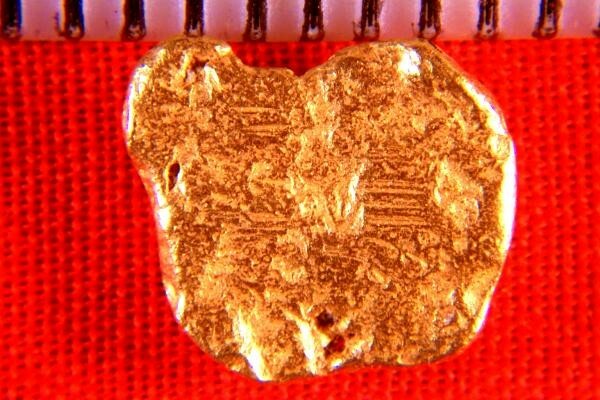 Gold Nuggets like this are highly prized by jewelers and collectors and make a great investment. The color reflects the very high purity and because most of the gold found in B.C. is very fine, a good sized nugget like this one is very rare to find.